Unfortunately, though, many Texans are still struggling with debt and making ends meet. The 2015 Texas median household income was $56,473, and the average student loan debt—according to the Student Debt and the Class of 2015 report—per person was $27,324.3 Adding loan payments on top of the essentials can be a burden on many residents. ...even if the loan was provided by the same national company in each state! We took out a loan for $800 in principle. We were supposed to pay back $965 in two weeks, but in order to do that we’d have to not pay some other bill. It took a whole year to pay back the loan. We ended up paying about $2,000. Fees and Finance Charges:No cap on Credit Access Businesses. Lender interest capped at 10%. Finance Charge on a 14-day $100 Loan:No cap. Criminal Action:Prohibited unless fraud or forgery. Collection Fees:Late fee of 5% of payment or $7.50, whichever is higher. When it comes to payday loans in Texas, it’s almost like being in the Wild West—there’s nothing to regulate lenders. Individual cities continue to work toward protecting their residents, but payday lenders in Texas continue to take short cuts and find loopholes that allow them to charge unrealistic rates. Payday loans in Texas are a problem. But what about title loans? Unfortunately, Texas title loans are just as predatory and just as unregulated. Faith leaders, social service organizations and consumers continue to plead with the Texas Legislature about title loans, but they have failed in closing the loophole or capping fees. While Texas Legislature hasn’t capped fees, or closed the loophole, they have improved reporting requirements. Reporting might have improved, but interest rates need to be capped to better protect consumers from further harm. When you’re strapped for cash during difficult times, it can be hard to pull yourself out of the hole you’ve created (it happens to a lot of people). So, you’re short on rent or you had an emergency where you needed more money than normal, what do you do? Many people might turn to payday loans or title loans in Texas because they’re “easy cash”, or you can find a store all over the state. While this is true, title loans and payday loans in Texas are the farthest thing from a good option for improving your finances during hard times. But, if you’ve already taken out a payday or title loan in Texas, you do still have options. Don’t put up with predatory lenders—speak up and reach out. For further guidance in Texas with payday loans and title loans, consumers can contact the Texas Office of Consumer Credit Commissioner by calling their hotline at (512) 936-7630 or by emailing consumer.complaints@occc.texas.gov. It is important not to let scammers or predatory lenders take advantage of you—reach out and get help. Aside from the Texas Office of Consumer Credit Commissioner, you can find help and guidance with Texas Appleseed. As part of the Texas Fair Lending Alliance, Texas Appleseed works on projects relating to the Payday & Auto Title Lending Reform. Texas Appleseed believes everyone deserves fair, equitable interest and fee charges for payday, auto title and other small dollar loans, and continues to work together to regulate predatory lending in Texas. While Texas has not taken steps toward protecting consumers from predatory lending, some cities have. Between 2011 and 2015, 22 Texas cities passed local ordinances that limited payday and auto title lending: Amarillo, Austin, Balcones Heights, Baytown, Bellaire, Brownsville, Bryan, College Station, Dallas, Denton, Dickinson, El Paso, Flower Mound, Galveston, Garland, Houston, Midland, San Antonio, Somerset, South Houston, Universal City, and West University.20 This is a step in the right direction for Texas for payday loan and title loan regulation. 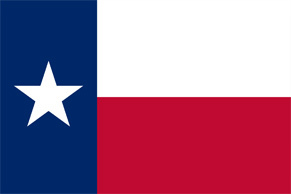 Before turning to payday or title loans in Texas, explore this page and use it as a go-to resource for all the information you need.